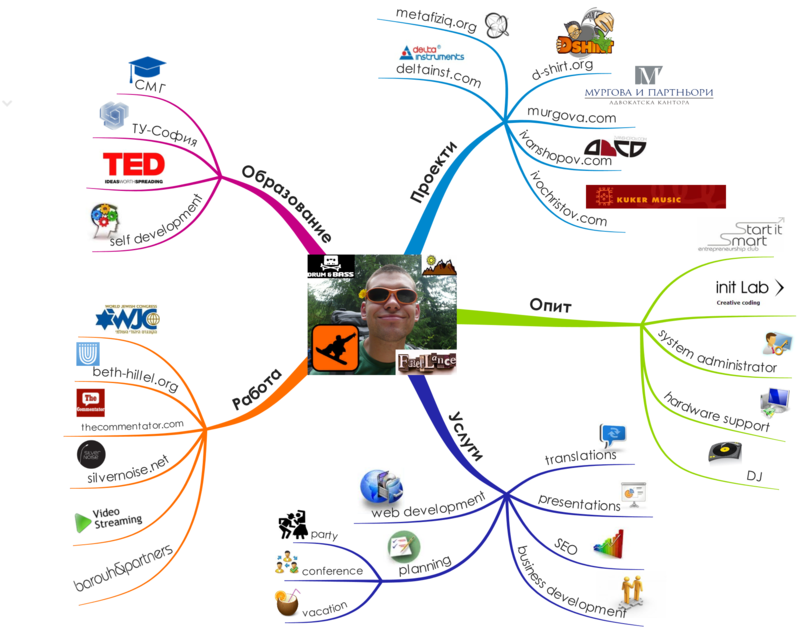 ruzhekov.com - Mind Mapping and my new cool CV! 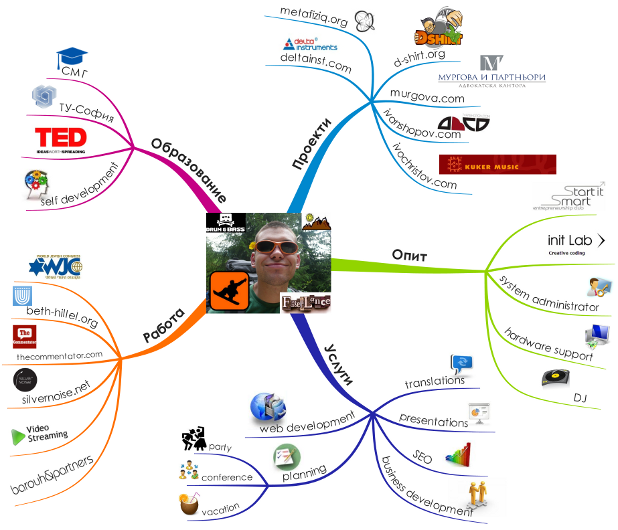 Mind Mapping and my new cool CV! Yes, that is my CV! And what a great way to visualize it! Now it is the first time I regret not going to job interviews (as any self-respecting enerpereneur should) but I intend to show this to everyone (yourself included, dear reader). So – wait no more – make your own mind maps and start having as much fun as I did making it!